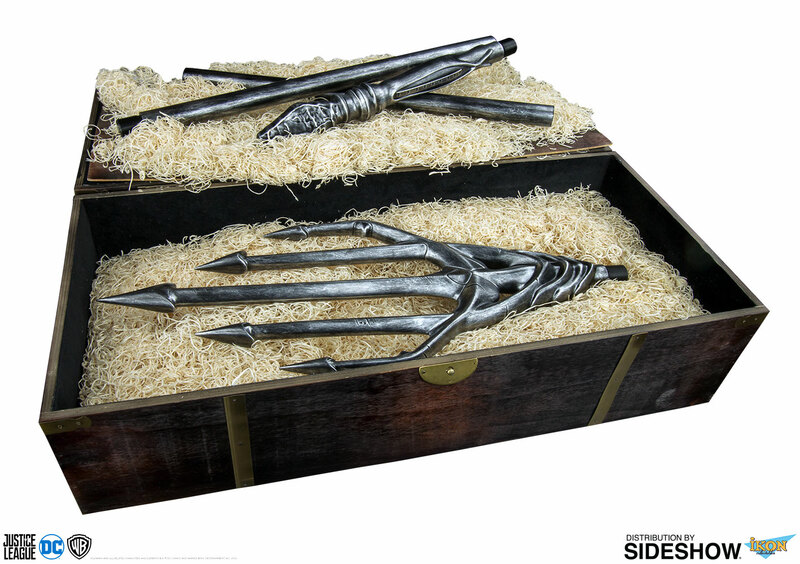 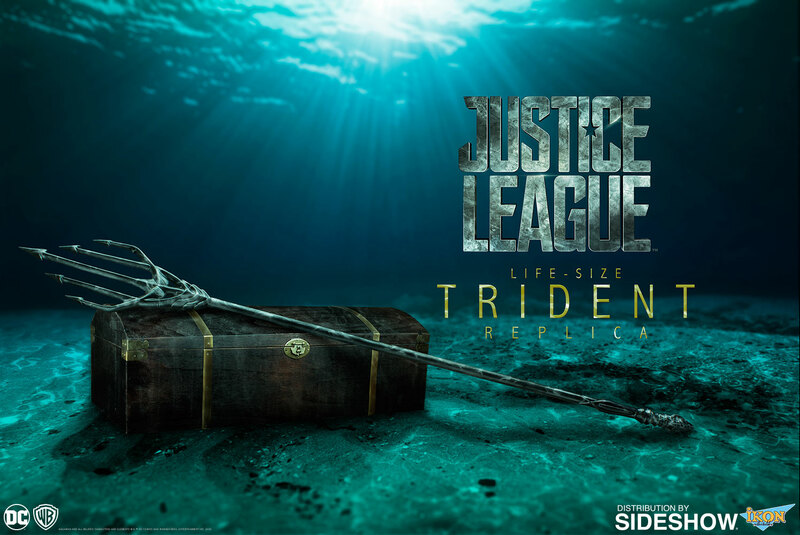 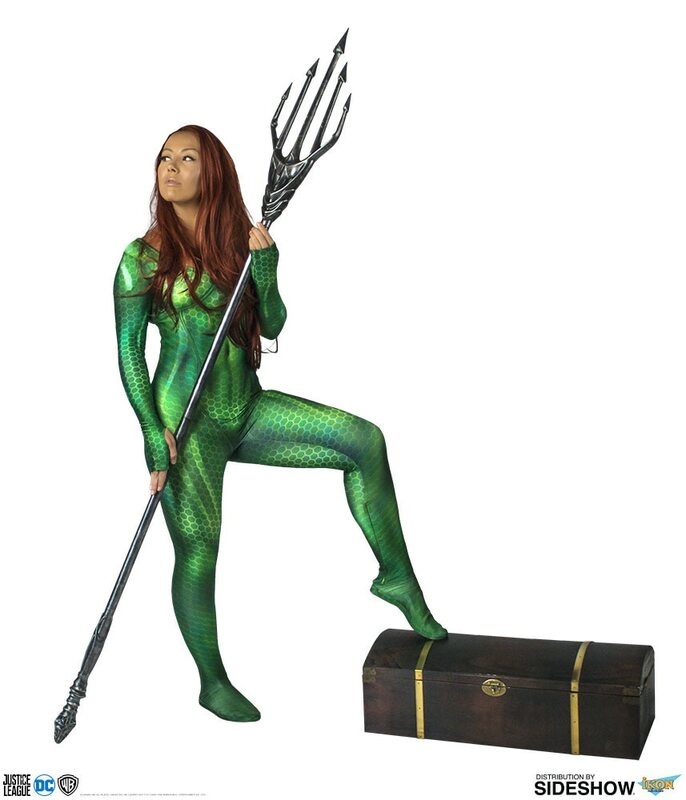 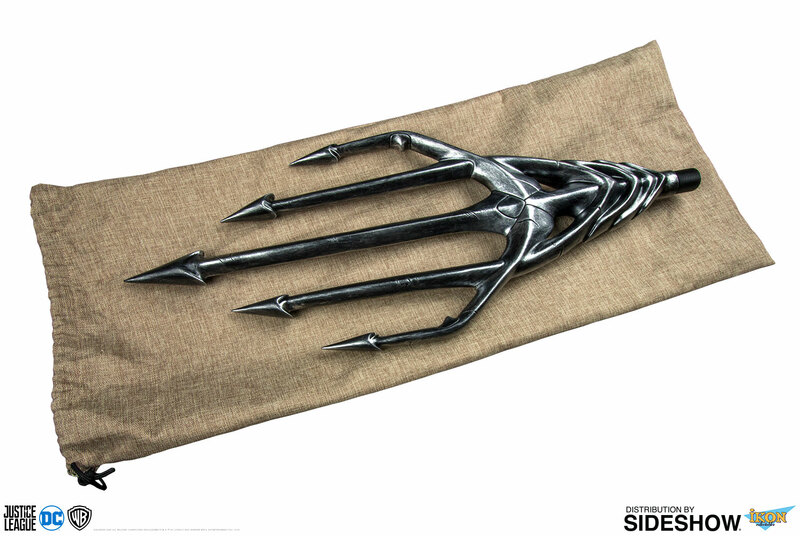 Sideshow and Ikon Collectables are now proud to offer you your very own replica of Aquaman's trident as seen in the 2017 Justice League movie. 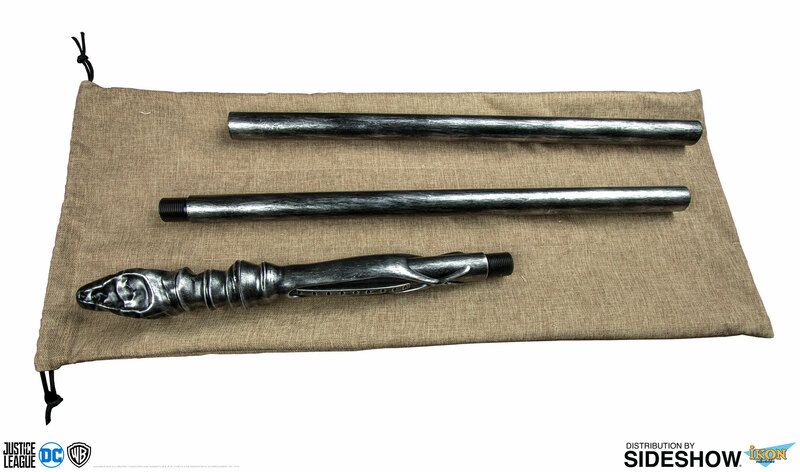 This replica has been designed using 3D files created by the movie studio; faithfully re-created to mimic every scratch, chip, and mark. 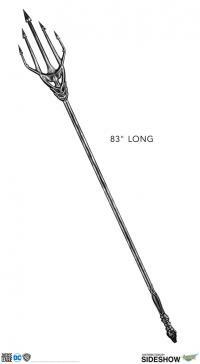 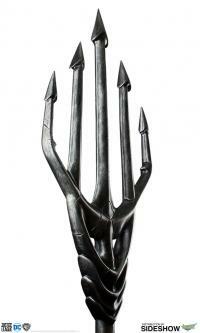 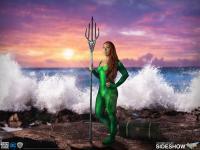 Assembled, the trident stands 213cm tall and is a metal and fiberglass construction that screws apart into four pieces. 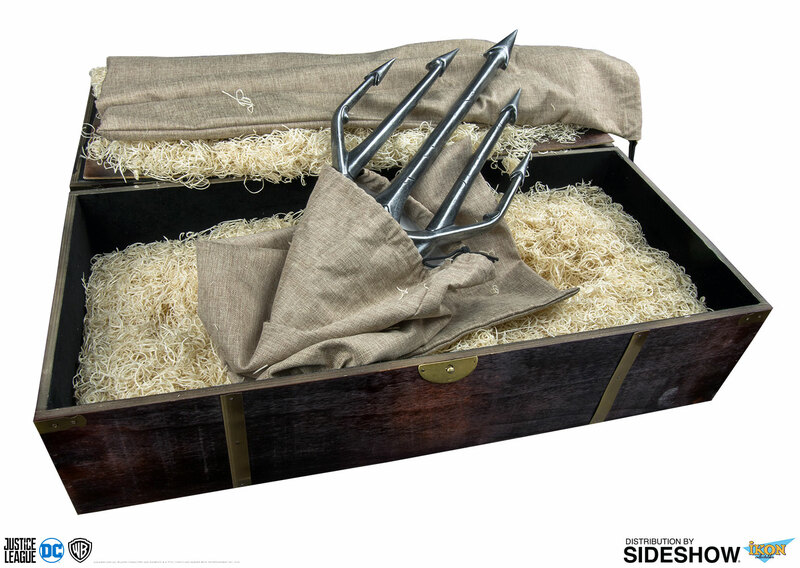 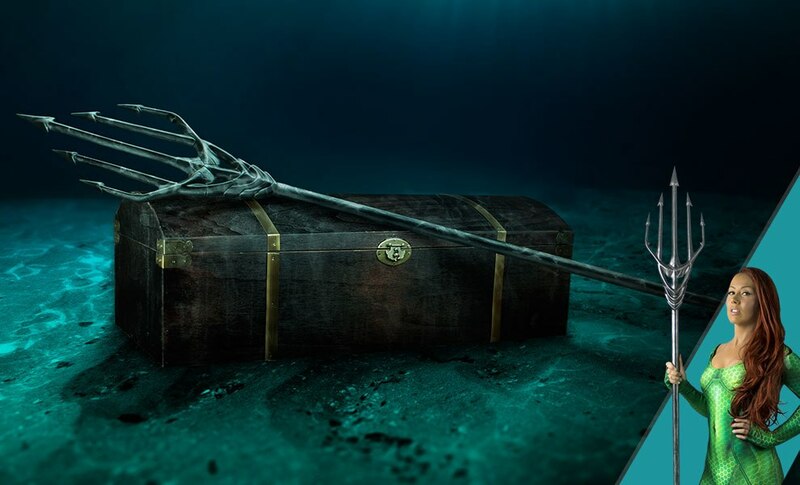 The four pieces of the replica come protected in a burlap bag and then packaged into a detailed wooden chest.